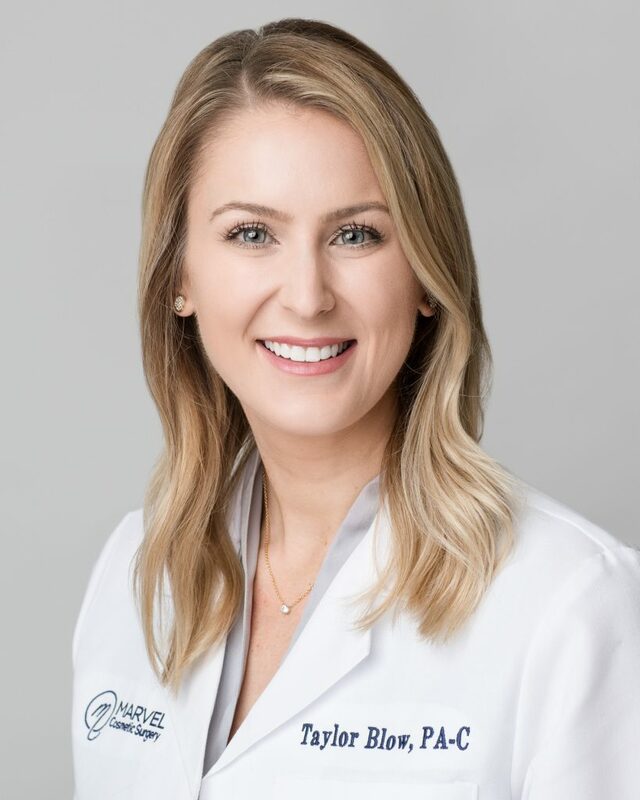 Taylor Blow is a Physician Assistant who is board-certified by the National Commission on Certification of Physician Assistants and licensed by the State of Tennessee. Taylor is originally from Richmond, Virginia and has a background in dermatology, Moh’s surgery, and holistic health. She graduated from Clemson University with a Bachelors of Health Science and then obtained her Physician Assistant’s degree from the University of Tennessee with a Masters of Medical Science. Taylor assists in surgery, provides pre- and post-operative care, and provides non-surgical services. Taylor has advanced training and specializes in Botox/Dysport, injectable fillers, and laser treatments. She concentrates on women’s wellness and feminine rejuvenation. Taylor is a member of the following professional associations: National Commission on Certification of Physician Assistants (NCCPA), American Academy of Physician Assistants (AAPA), Tennessee Academy of Physician Assistants (TAPA), and American Association of Surgical Physician Assistants (AASPA).